Hyundai has rolled out a refreshed version of its Elantra GT for the 2016 model year at the Chicago Auto Show. The updated car has a revised look on the outside and can be optioned with new tech on the inside. The 2016 Elantra GT starts at $18,800 not counting an $825 freight charge and it will roll into dealerships this March. 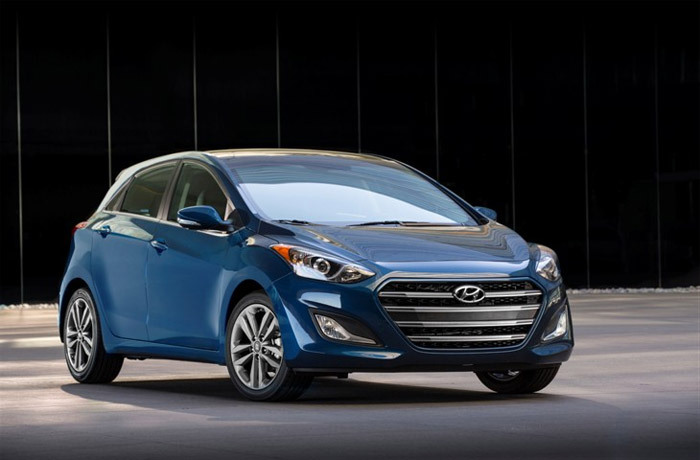 The exterior of the 2015 Elantra GT gets a new grille with chrome and argent slats and new 17-inch wheels. Drivers can also opt for new tech and features inside the car. Hyundai is now offering optional ventilated driver and passenger seats, which it says is a first in the segment. The car can also be optioned with a next-generation navigation system that features HD radio and Apple Siri integration. Hyundai also offers its Blue Link system in the car with new connectivity features including remote start and climate. The engine under the hood is a 2.0L direct injection 4-cylinder producing 173hp and 154 lb-ft of torque. The older 1.8L engine will still be offered on the Elantra Sedan. The Elantra GT gets 24mpg in the city and 33mpg on the highway.